Summer is a great time for students to get out of the classroom and explore new things. 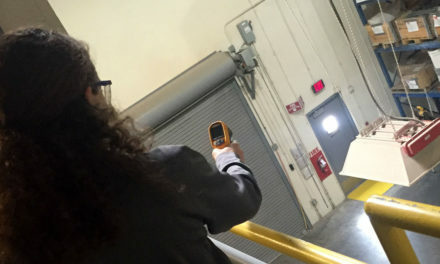 For first–12th grade students who spend a week of their summer with Arizona State University’s Ira A. Fulton Schools of Engineering, that means exploring science and engineering fields and life on a college campus. 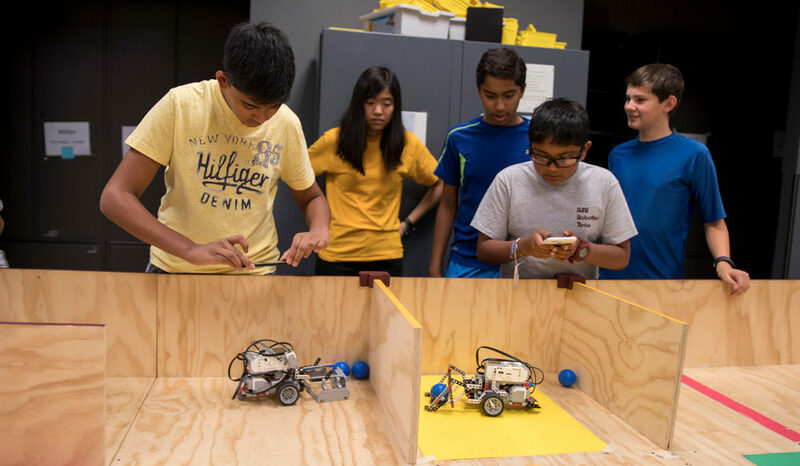 The Fulton Schools Summer Academy actively engages participants in hands-on STEM activities and empowers them to seek out other STEM opportunities beyond their summer experience at ASU. In 2017, the program offered 18 total camps with 33 sections that vary from half-day camps to full-day camps to overnight camps. 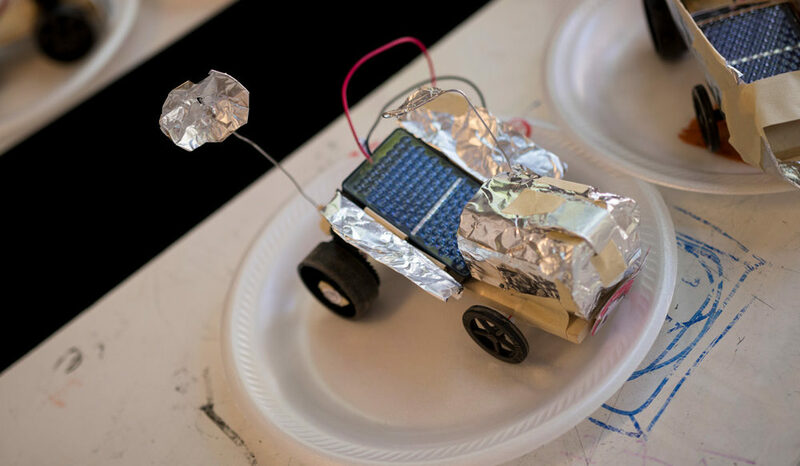 These camps are split between sessions created and taught by Fulton Schools faculty, and camps created by Parker’s K-12 Engineering Education Department team and taught by Phoenix-area elementary, middle and high school teachers. This year’s 33 Summer Academy camp sections were nearly full — some with wait lists — and attendance nearly doubled since last year. More than 850 students attended camp, up from 500 students in 2016. 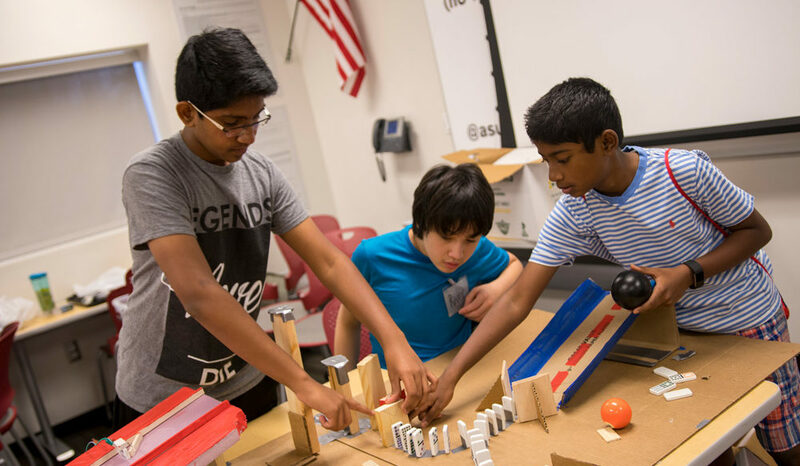 The Art of Invention: Chain-Reaction STEAM Machines for Middle Schoolers camp offered a project-based approach that emphasized brainstorming, problem solving, rapid prototyping, teamwork and communication. 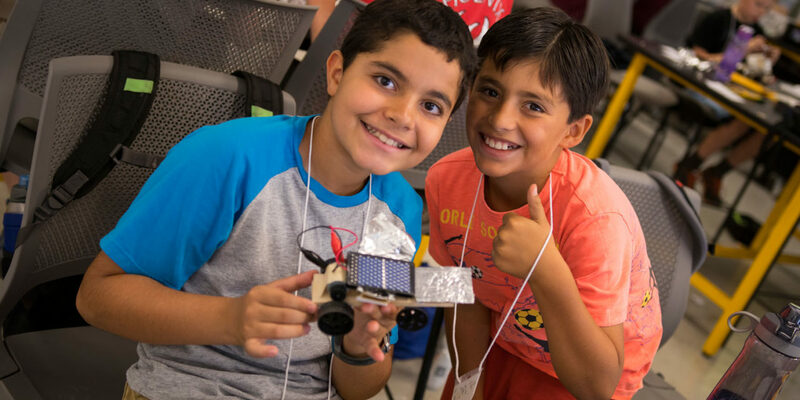 Inclusion and access are an important missions for the university, so Parker’s team strives to bring a wide range of students together at Summer Academy camps. “There’s something to be said about having students from all different backgrounds learning from, working with and teaching each other,” Parker says. One way they help bring in underrepresented students — including those from rural or low-income families as well as female and minority groups — is through scholarships. 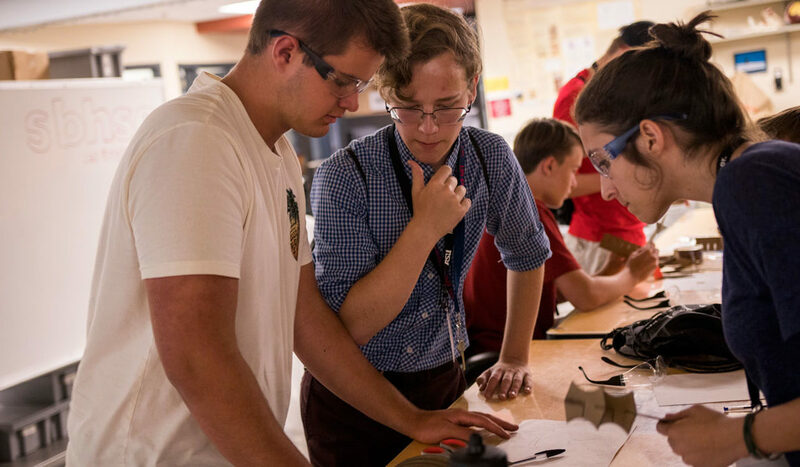 The Summer Academy gives back a third of its revenue to scholarships to help students be able to attend summer camps run by the K-12 Engineering Education team. “We make a big push to ensure all students, regardless of their backgrounds and financial need, are able to come to camp,” Parker says. The Fulton Schools Summer Academy partners with school districts to bring students to camp for a reduced rate from these scholarships. This year they partnered with the Isaac School District, Mesa School District and Creighton Elementary School District in Phoenix, and in the past Alhambra Elementary School District, to help sponsor students to attend camps. 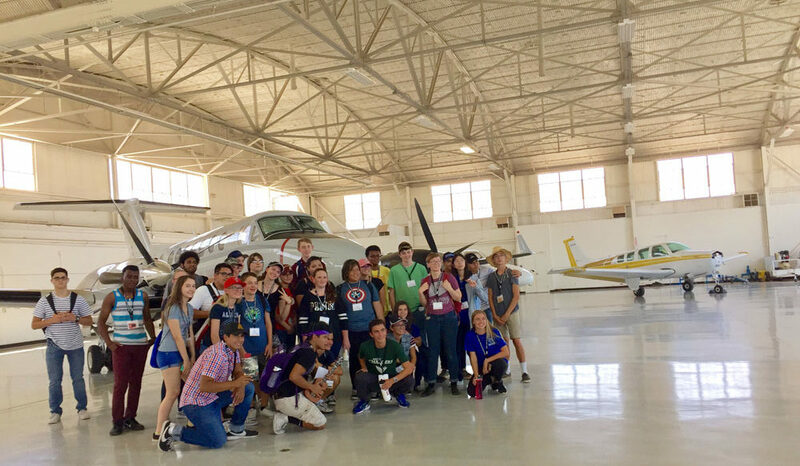 One notable camp offered by the Summer Academy is the National Summer Transportation Institute, a free, residential camp sponsored by the Federal Highway Authority Civil Rights Division and the Arizona Department of Transportation. 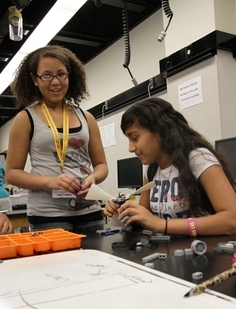 As part of the week-long NSTI camps, aimed toward rural, first-generation and underrepresented student groups, high schoolers get an experience of being a student on campus as they live in a dorm at ASU’s Polytechnic campus and explore engineering disciplines with faculty and industry mentors. Jennifer Velez, NSTI Coordinator emphasizes the collaborative efforts to make this experience possible for these students. 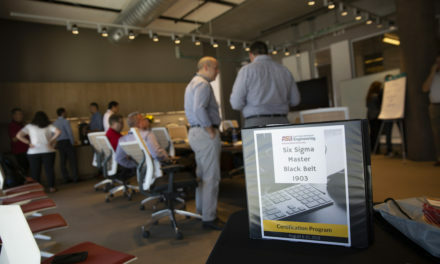 Daniel Hood, an earth and space science teacher at Mesa High School and NSTI instructor, says the camp emphasizes meeting professionals at their workplaces, whether that’s at ASU, Mesa Gateway Airport or out on a civil engineering construction site — a unique opportunity for him and the students. Parker’s team listens to what the community is asking for, what industry is asking for and looks at trends at the university level to provide new camps that fulfill those needs. “We are the conduit between industry, community, faculty, and students, and we listen to everyone and come up with a menu of camps that meets the needs of each audience and implement them throughout the summer,” Parker says. Based on community demand, in 2017 the Summer Academy added more coding camps, including an intermediate level camp for students who wanted to continue on after taking the beginner class the previous year, or who already had a coding background elsewhere. 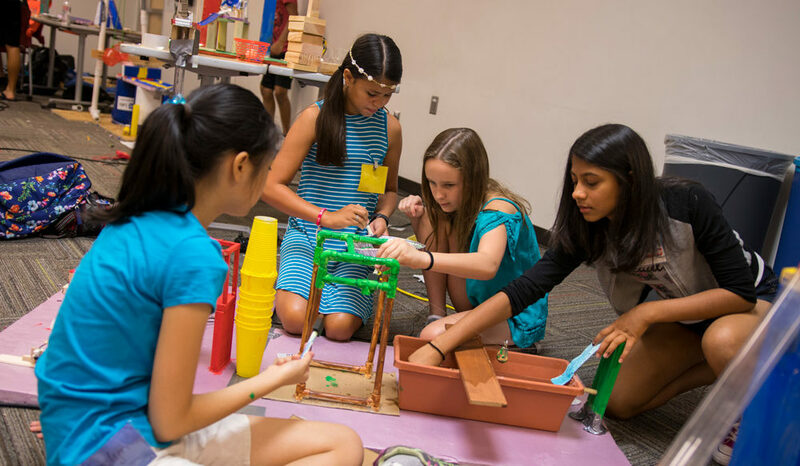 Ira A. Fulton Schools of Engineering lecturer Christina Carrasquilla hosted her own faculty-run camp after noticing the nationwide push to get girls into STEM. Her App Camp for Girls was added in 2016 after she noticed the community need for more STEM opportunities for female students. For faculty, Fulton Schools Summer Academy camps are also a great opportunity to share the research they’re doing in their labs with the greater public, Parker says. 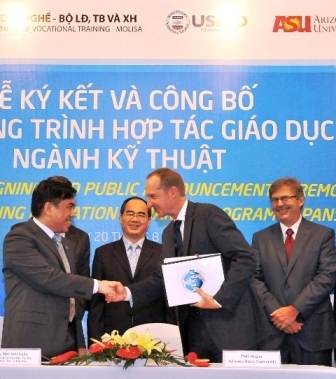 Students come away with an interest or passion for that research topic and want to pursue it further, which is important for the vitality of the research and related academic programs. Fulton Schools students also get involved in the Fulton Schools Summer Academy as camp counselors. Phoenix-area school district teachers are brought in to teach camps not run by Fulton Schools faculty. 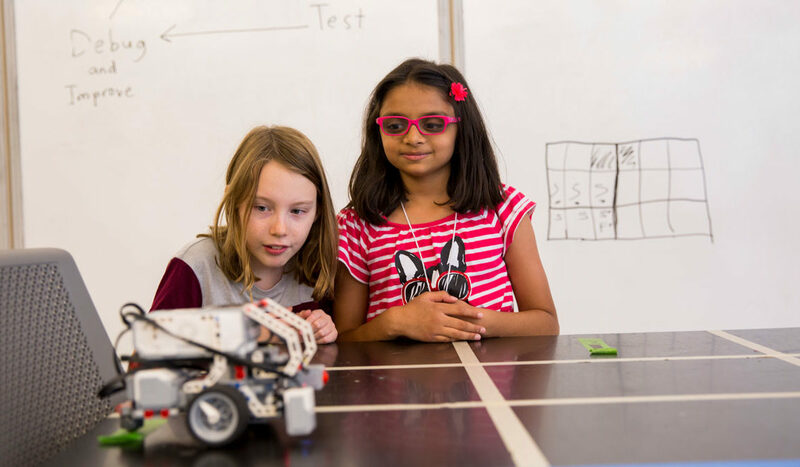 These instructors believe STEM is an important part of a child’s education, and excel at teaching students basic engineering skills in a hands-on way. Hood and other instructors also believe the camps are good at teaching students other skills necessary for their academic and careers success. 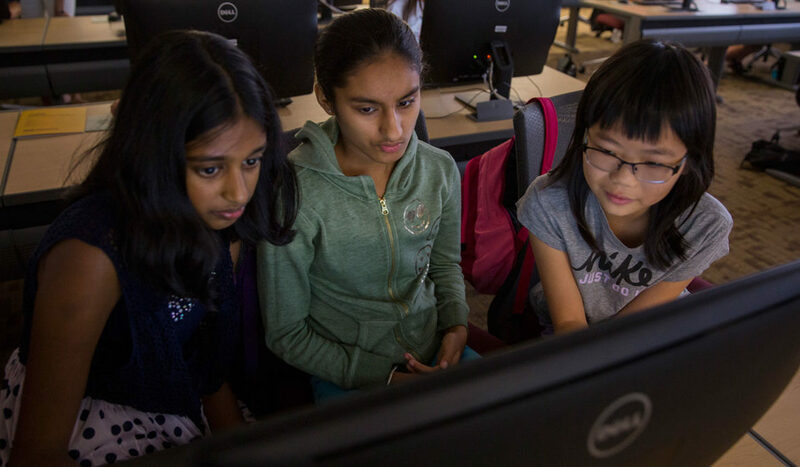 “I think the important thing about kids going to camp is not only the technical piece, but the social piece, the soft skills and the ability to meet new people, work with groups, collaborate with your neighbor and help each other,” says Kathy Wooton, computer lab electives teacher at Skyline High School in Mesa, Arizona. Wooton and Erik Von Burg, Gifted and Talented Department Specialist at Mesa Public Schools and instructor of the FIRST® LEGO® League Introduction for Girls camp and other FLL camps, believe even the technical skills translate beyond engineering, science and technology careers. Not only is the Fulton Schools Summer Academy a learning experience for students, instructors also believe they learn a lot at camp. Registration for the 2018 Fulton Schools Summer Academy camps will open in February 2018.